Stuck indoors this weekend, or just looking for some quick and easy reads? Catch up on the latest animal news, pet advice and fun dog facts with these great stories from around the web. 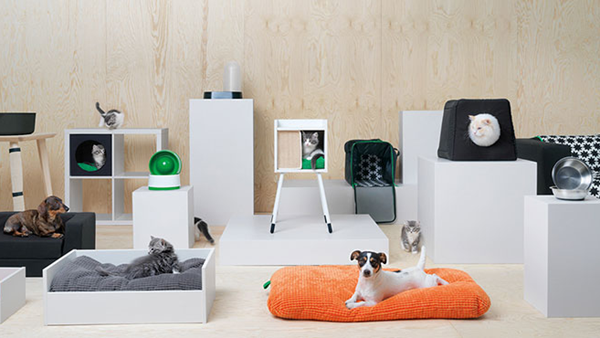 ICYMI, news broke just before the holidays that Ikea launched a new Pet Furniture Collection, and we want it ALL! The collection is currently being rolled out in stores across the US, Canada, France and Japan. Dogs can’t speak human. Here’s the tech that could change that. 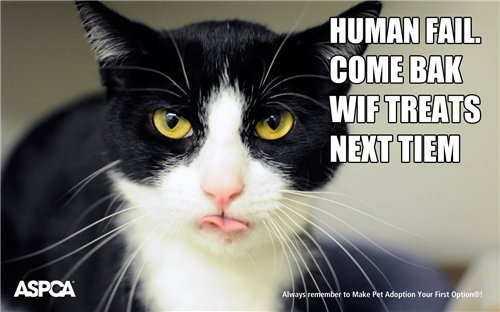 Scientists are finally working on something we’ve always dreamed about but could never imagine becoming a reality — the ability to have a chat with our fur kids. 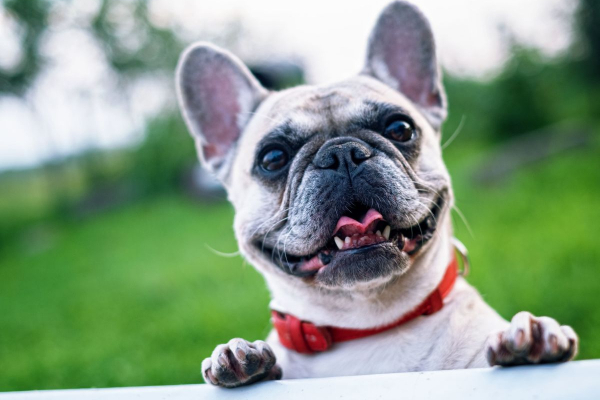 Yes it’s true, scientists are working on a pet translator, and it could mean that you might finally be able to actually understand what your dog is trying to say. 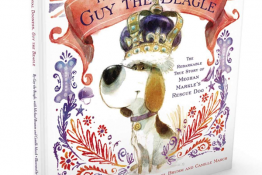 If your dog could talk, they would tell you that Starbucks has a Puppuccino for dogs (this is one of Daisy’s favorite things), but did you know that some of your other favorite spots offer yummy, unpublicized treats just for four-legged patrons? 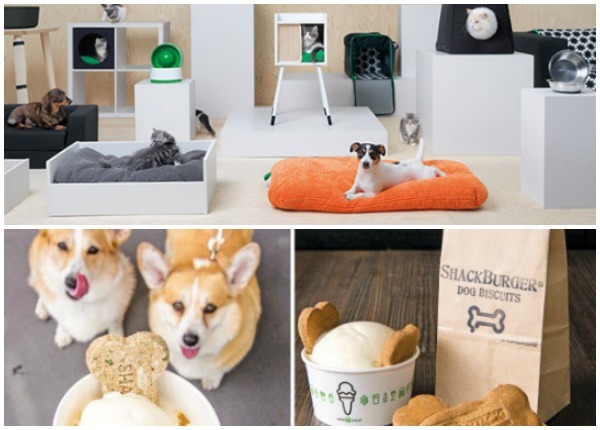 Check out these Restaurants with Secret Menus for Dogs compiled by Modern Dog Magazine, and an even bigger list of businesses that cater to pets put together by our friends over at BarkPost. Recent weather has been pretty crazy. Many pet owners are aware of the dangers to dogs and cats in extreme heat, but the risks can be even greater during a cold spell. 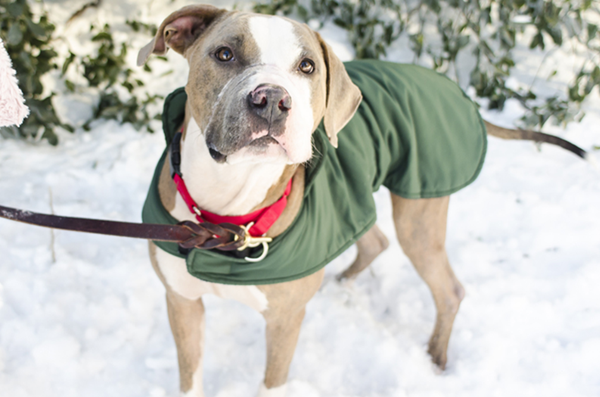 The folks over at NPR ask pet experts How Cold Is Too Cold For Pets? According to Daisy, anything below 50 degrees fahrenheit is too cold for a Florida dog like her! Weird animal question of the week: Why Dogs Pee in Their Bowls and and other odd pet behaviors explained by the animal experts over at National Geographic. For more animal news and pet stories, subscribe to our email newsletter and follow us on Facebook, Twitter, Pinterest or Instagram. 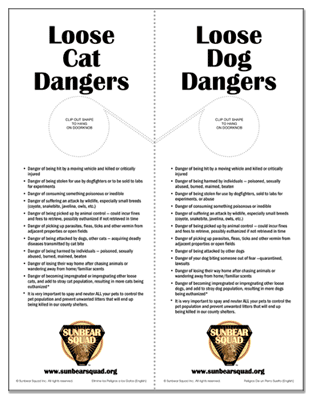 I was searching around for pet freebies this morning and stumbled upon some great free printable pages designed to warn neighbors about the danger of letting their dog or cat run loose and unattended. It’s easy and anonymous. Just put the appropriate door hanger on a door or gate and you might just help save someone’s pet from harm or injury! Just print the file here and then cut the printed sheet into halves and cut out the doorknob holes. Since they are available in both English and Spanish, a great idea is to print the English version on one side and then put the Spanish version on the back. Visit Sunbear Squad for lots more pet safety and animal welfare tips, tools and inspiration. Each year, the ASPCA Animal Poison Control Hotline receives thousands of calls from pet parents concerned about what their dog or cat may have eaten, whether it’s poisonous, and what to do about it. They’ve recently updated their list with the top pet toxins that they received calls about in 2012. 1. Prescription Human Medications: Careful not to drop any pills! Most common calls were for heart medications (blood pressure pills), antidepressants and pain meds. 2. Insecticides: Always read the label before using any insecticide on your pet, in your home or in your yard. 3. Over-the-Counter Human Medications: acetaminophen, ibuprofen and naproxen as well as herbal products and supplements (fish oil, joint supplements). 4. Veterinary Products and Medications: both OTC and prescription veterinary products (watch out for flavored tabs, too). 5. Household Products: anything from fire logs to cleaning products. You can view the full top 10 pet poisons list plus find out what to do if you think your pet has been poisoned at the ASPCA Animal Poison Control Center. 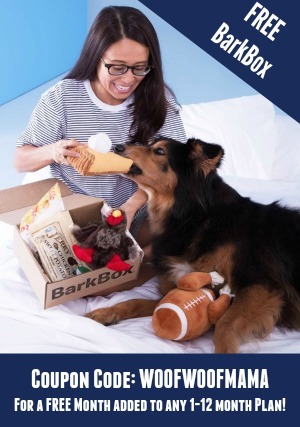 Also checkout this recent post for info on getting your free pet safety pack from ASPCA. 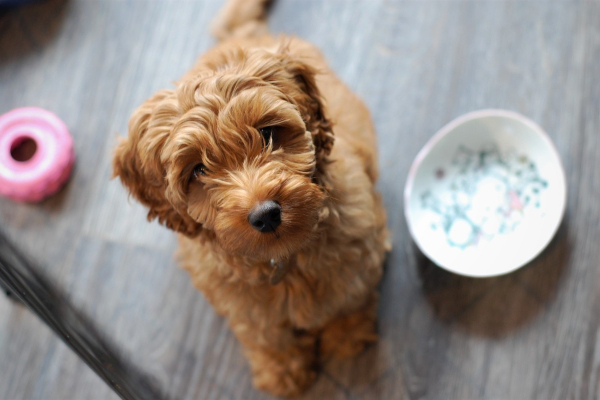 Yesterday was Valentine’s Day and there were lots of reminders about keeping the chocolates away from the fur kids, but do you know what other foods you should avoid feeding your pets? 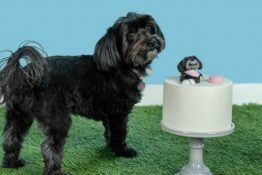 The ASPCA website has tons of free pet safety resources, tips and articles to keep your pets healthy including this List of People Foods to Avoid Feeding Your Pets. 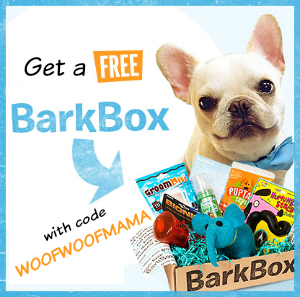 There’s also a great freebie to help keep your pets safe! 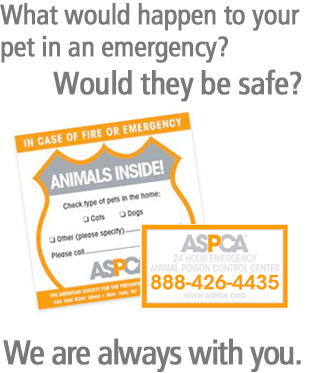 Get your free pet safety pack from the ASPCA. In the event of an emergency, the pet rescue window decal alerts rescue personnel that pets are inside your home. The safety pack also includes an ASPCA Animal Poison Control Center magnet—a great way to keep their toll-free emergency number and website address handy in case your pets get into something! Night walks or runs can be fun with your dog, and for many people, it fits well with a busy work schedule. 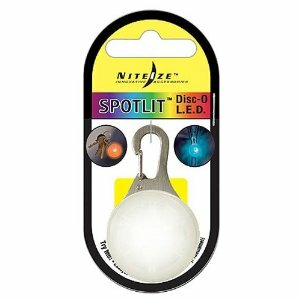 Just be sure to stay safe after dark with a reflective or LED collar, leash, charm or vest. 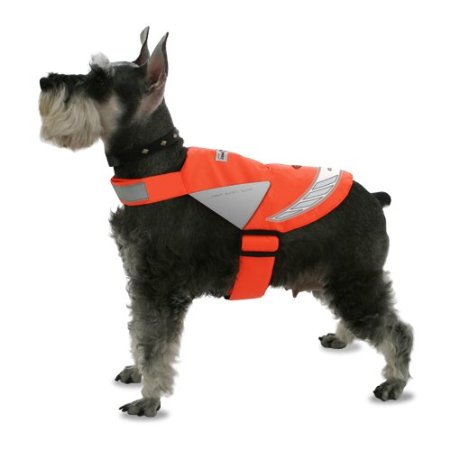 The Lumi-Jack Lighted Pet Safety Vest is on sale for 56% OFF at Amazon as the special Gold Box Deal today. 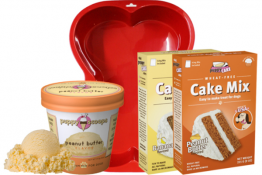 Regular price is $29.99 but you can snag it for only $13.23 plus Free Shipping with Amazon Prime or SuperSaver. Another fun and affordable option is this 5-color LED SpotLit Clip On Pet Safety Light for just $6.23. This one is super handy since you can always leave it clipped on the leash and then just turn it on if you are out after dark!